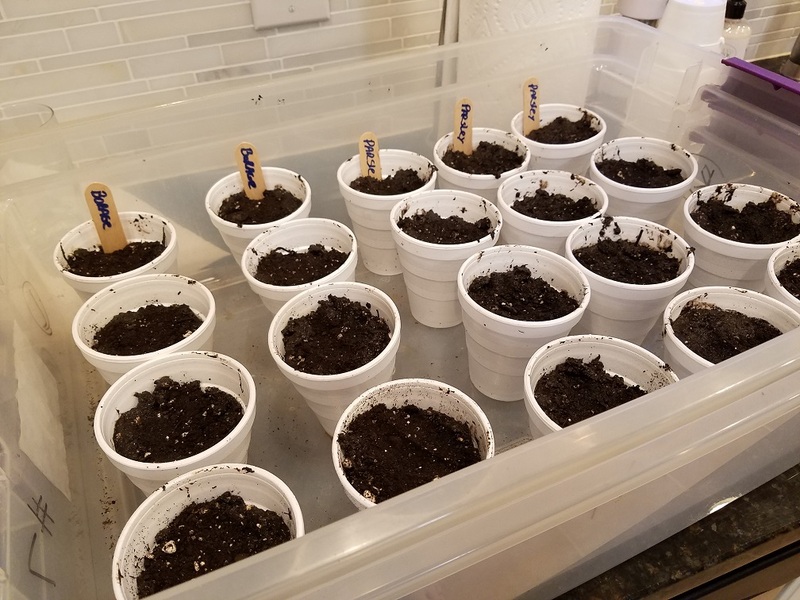 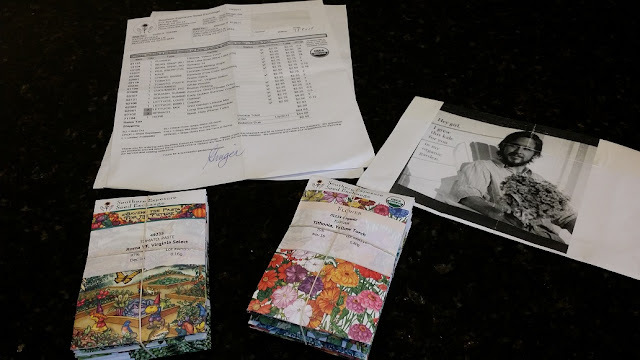 I went back to the styrofoam cups after last year's peat-pot disaster, using a soil-less starter mix from Johnny's Seeds, and brand new seeds I ordered for this season. 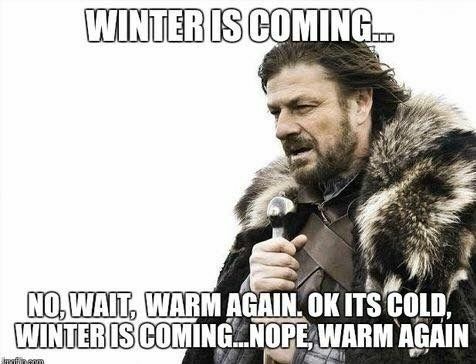 Annnnd then I forgot about it. So, when my seeds arrived with this picture wrapped around the outside of my seed package, I was like, "WTH?" Then it clicked and I BURST OUT LAUGHING! 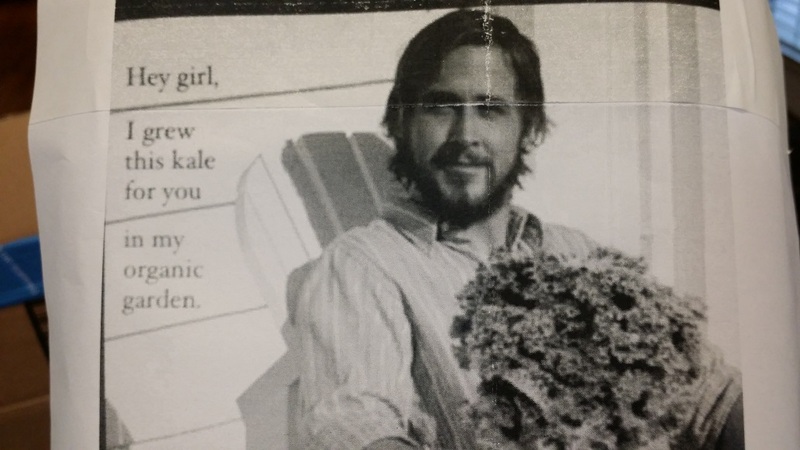 It says, "Hey girl, I grew this kale for you in my organic garden." 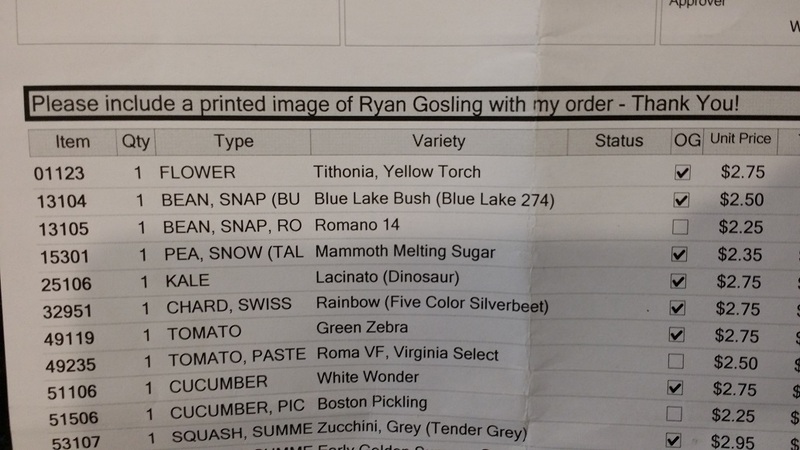 OMG, that was the funniest thing and it totally made my day. I am doing this from now on for ANY situation that asks for "Special Requests".